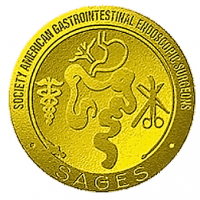 The Society of American Gastrointestinal and Endoscopic Surgeons (SAGES) is a non-profit professional organization providing education on minimally invasive surgery. It describes itself thus: SAGES represents a worldwide community of surgeons that can bring minimal access surgery, endoscopy and emerging techniques to patients in every country. The mission of the group is: to provide leadership in surgery, particularly gastrointestinal and endoscopic surgery, to optimize patient care through education, research and innovation.